Technology has changed the way we live, think and work. It is growing even more and is applied in our everyday lives. It has changed the way we communicate with each other. From online shopping to online transactions, we have technology in our pockets and purses in the form of mobile phones. We are carrying mini ATMs in our palms to transfer money from one account to another. But what if you send money from one country to another within a few clicks from anywhere? Isn’t it a good way to send money without bothering anybody? There are thousands of apps that offer this feature, but not like ‘Share Money’. 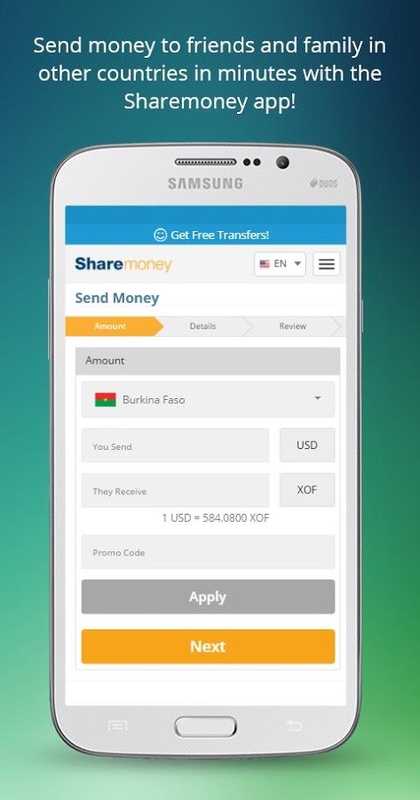 It’s the best way to send money from the United States to Mexico, Vietnam, Brazil, Colombia, Nigeria, the Philippines, Peru, Honduras, Ecuador, Costa Rica, Guatemala and many other countries across the globe, at the best exchange rates. 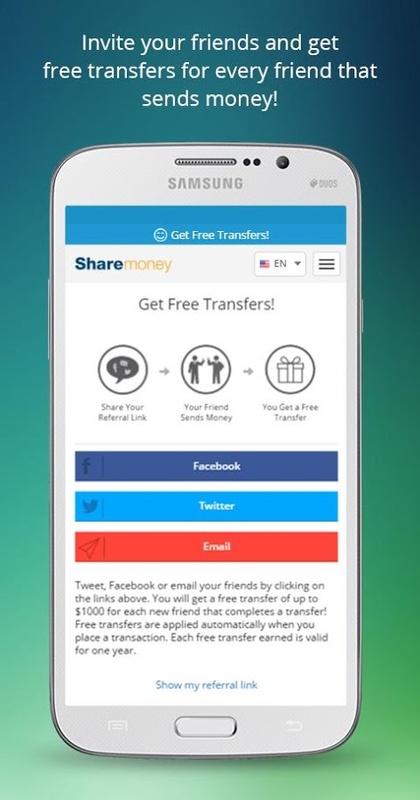 Share Money has been offered by Share Money. It requires any later version of the Operating System running in your Android Smartphone The app is beautifully designed and it has a user-friendly interface. It has a nice platform where you can share money easily within a couple of seconds. Now, what you have to do to use this app? The app will be installed within a few minutes and you can start the transfer process immediately. The process is very easy and more convenient to transfer funds from the US to your friends or loved ones. You’ll receive notification when your transfer is processed and the recipient receives the funds. You can also repeat transactions if you want to send again. There is no need to worry at all about the safety and security of your account. It maintains security in every transaction you make and you can track your money transfer every step of the way. The charges of this facility are almost negligible to no fees, with winning exchange rates for every transfer. There are different modes to transfer the money, you can send via direct bank deposit, cash pickup or in some cases home delivery. It depends on the recipient’s country. It gives access to many of the reputed banks in Central America, South America, and other countries.You can also do fast and easy debit card transactions to avoid bank fees and other unwanted costs. Overall, I would say that Share Money is the best option if you want to send money to your loved ones. It has 100% money-back guarantee if your money is not delivered. This app is totally available for free to download. Try it now if you want to transfer money from the US to other countries! You can get 24/7 customer support, or you can contact via the toll-free number if you have any queries regarding this Share Money. 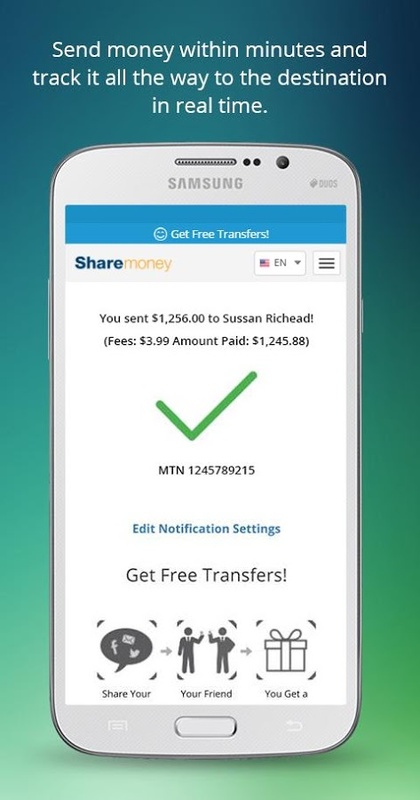 PROS: lower fees and better exchange rates; fast and easy money transfer; send USD to other countries; track transfers; 24/7 customer support; safe and secure; 100% money-back guarantee; free. CONS: it is only applicable in the United States. Remote Phone Android App – Phone or PC ? 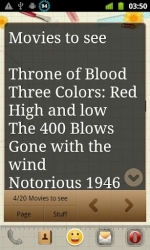 Notepadus Widget – Easy Way to Note it Down Quickly!